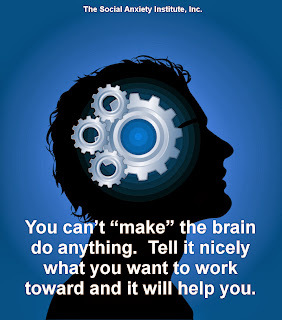 Your brain doesn't help you and it doesn't work against you, unless you "tell" it to. 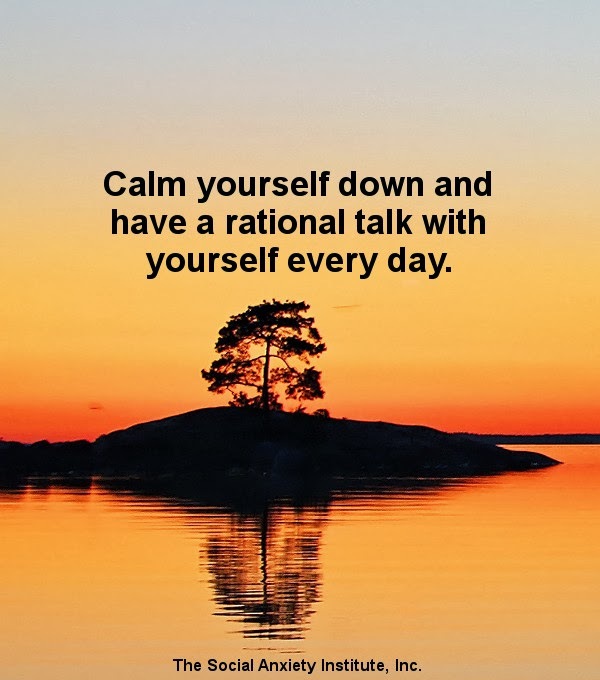 Tell the brain you are thinking more rationally, use self-talk with it, and your brain will help you as long as what you're doing is rational. 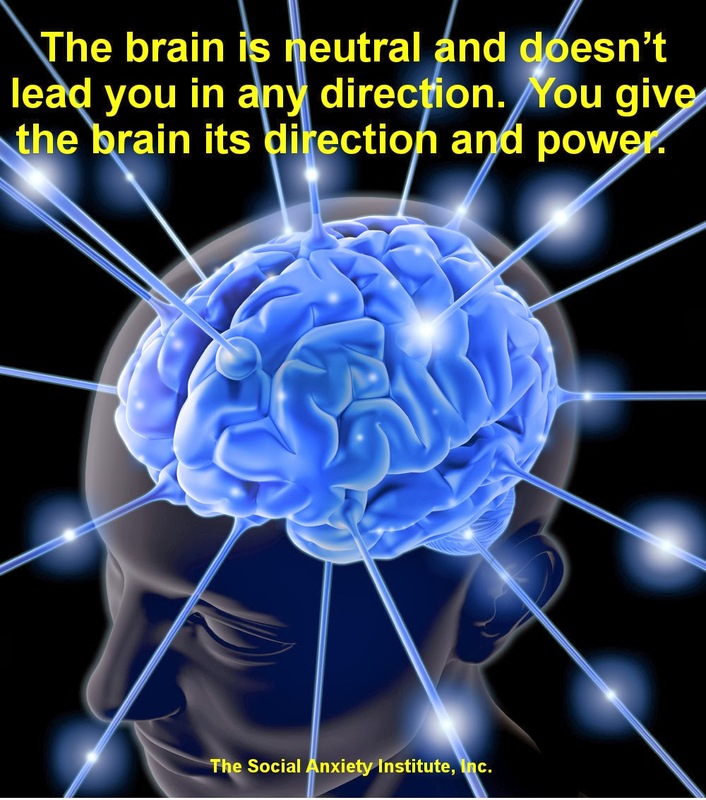 The brain will help you, and be on your side, if it knows what you are doing. Don't inhibit yourself. Don't avoid. 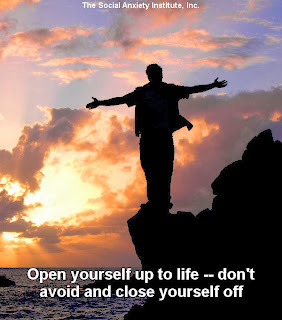 Open yourself up to other people and the world, step by step. Avoidance is a recipe for disaster. 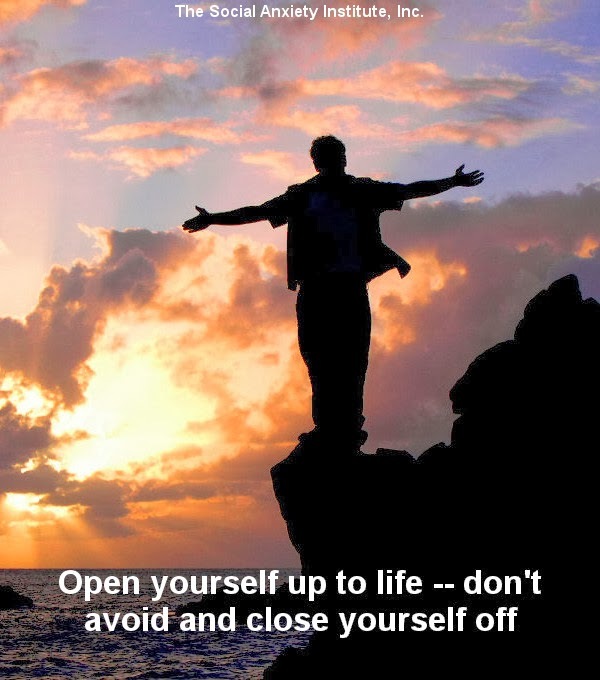 Opening yourself up allows you to focus on others and stay out of your head. 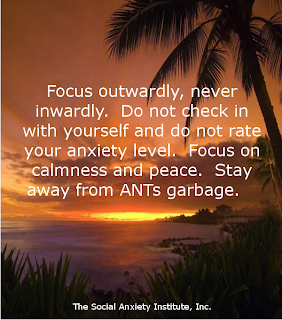 Focus externally away from your internal thoughts. Focus on other people, what they are saying, what's going on around you, or on the book you're reading. Do not go into your head. 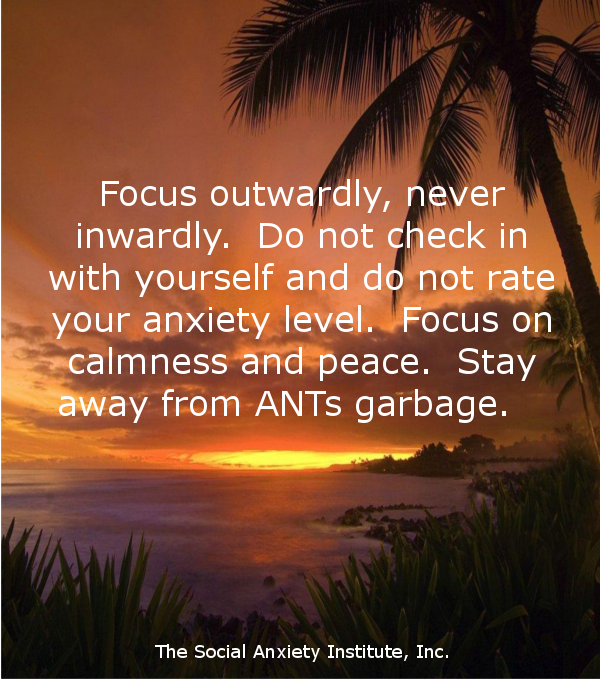 Focus outwardly. Focus externally. 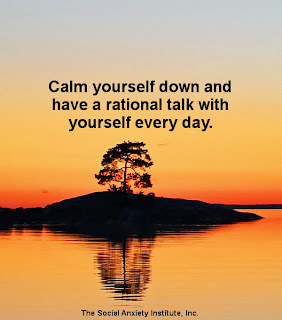 Relax, loosen up your muscles, calm yourself down, and clear out your mind so that you can think rationally. Americans: Have a happy Thanksgiving! 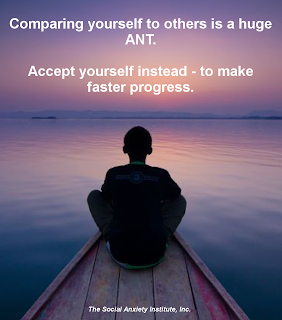 Acceptance of yourself allows you to stop comparing yourself to others and beat yourself up. 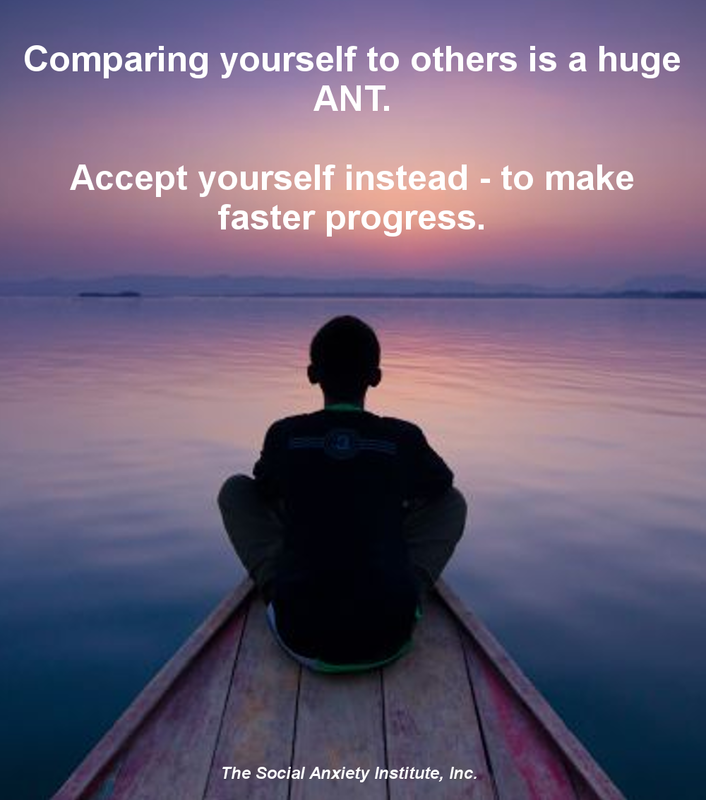 Acceptance allows you to focus on what you need to do to get better. The negative emotions we have buried inside, caused by social anxiety, should be let go, set free, released for your own good. Calmness and peacefulness help us overcome social anxiety. The brain doesn't automatically help or hinder the development of social anxiety. 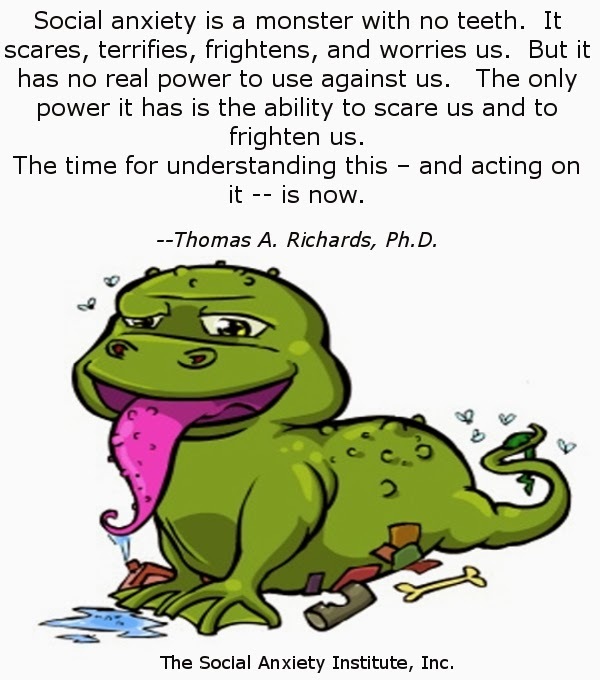 It goes along with what's happening, unless you take charge and start telling it (self-talk) what is rational and true. Then, your own brain will make what you expect to happen, happen. You can do cognitive therapy from home. 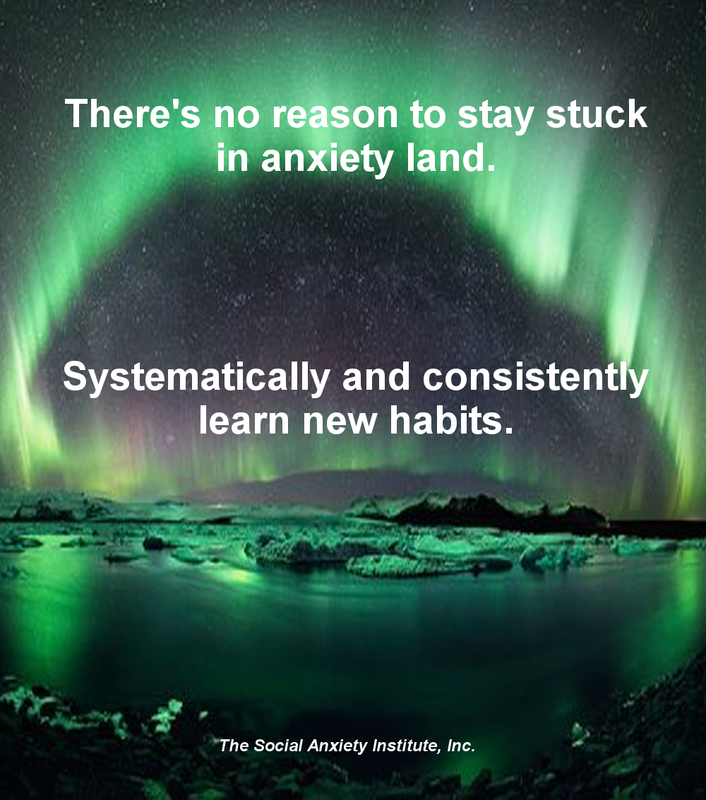 No need to stay stuck in social anxiety for the rest of your life. Thousands of other people have learned to overcome social anxiety. We should consider a number of different positive perspectives. 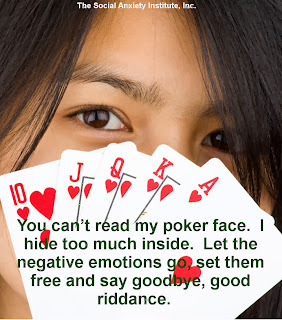 Some may help us in overcoming social anxiety. Social anxiety is a monster with no teeth. 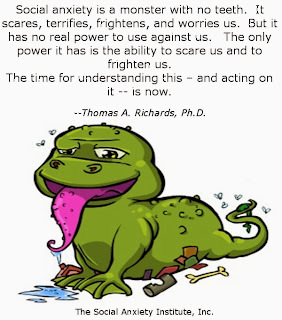 It looks scary, but has no real power to use against us. When your thoughts go negative, there are a lot of active things to do. Overthinking is a curse. Don't let it crush you. You are not stuck in doom and gloom. Open your brain up to thinking differently. There is no need to keep the defensive walls pulled up. It's possible you've misinterpreted the way people see you and the world around you. There is a way to change your thoughts and beliefs. When your thoughts begin to change, and you act on them, your feelings change, too. 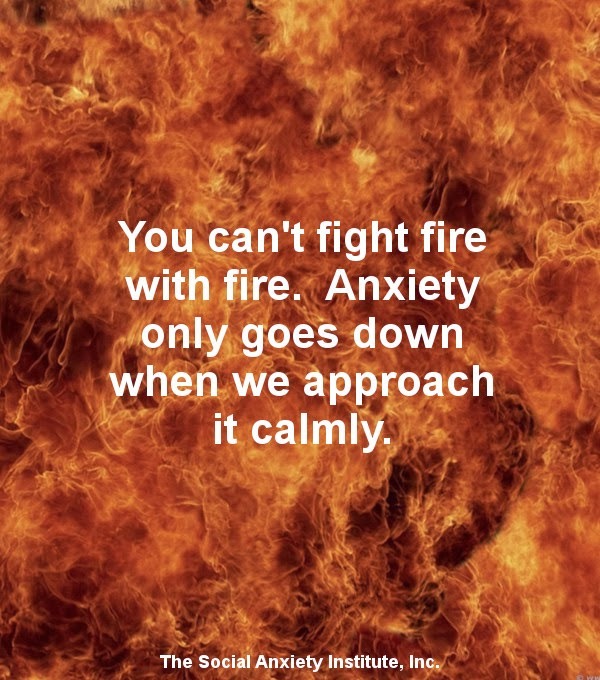 You can't fight fire with fire. Anxiety (a negative emotion) is inflamed by other negative emotions, like anger, aggression, frustration, and depression. Anxiety brings on more anxiety. It is the fighting and battling against it that keeps the fires burning. 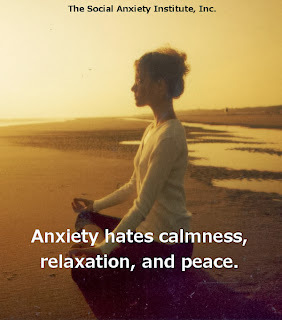 Anxiety hates calmness, peace, and relaxation. 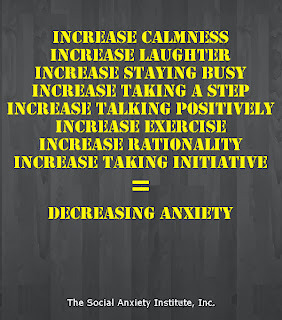 The positive emotions are antidotes to anxiety, and help you feel better at the same time. 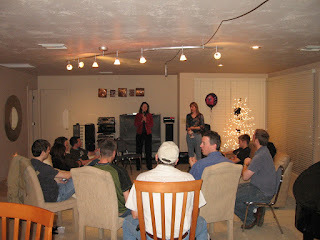 Allowing yourself to relax and feel calmness is one powerful step on the road to overcoming social anxiety. Slow down, take it easy, take one deep breath and relax. Don't take life so seriously. Life is not a series of emergencies, it is meant to be enjoyed. 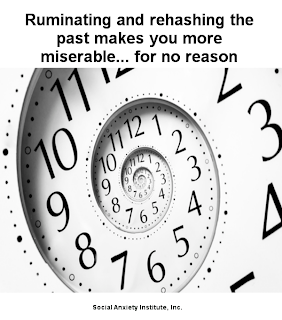 Rehashing and ruminating about the past does no good. You can't change the past, but you can change the present -- which will have a positive powerful effect on the future. 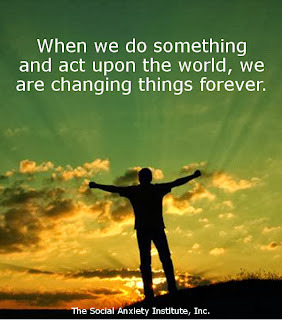 Stop feeling sorry about yesterday when you can do something about it today. Overcoming social anxiety is an easy thing to do, it just takes time. 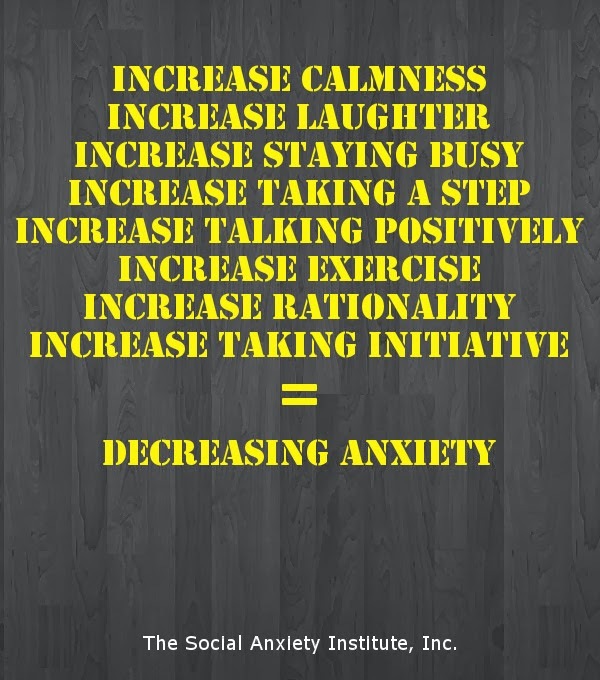 The Social Anxiety Institute provides this help. I saw another person last week who had been diagnosed with depression, but really had a full-blown case of social anxiety disorder. He had spent the last five years trying to find out what was wrong with him. Unfortunately, misdigagnosis of social anxiety is still prevalent. Social Anxiety Newsletter for November coming out tomorrow. Featured will be the ways social anxiety makes you feel, the international therapy group program, and new insurances policies and rules that insure treatment of social anxiety disorder is on par with treatment of medical conditions. 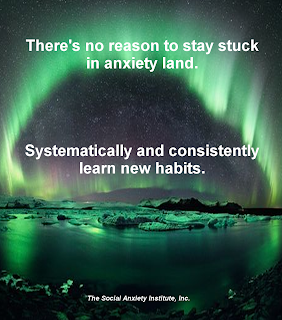 Sign up for the Social Anxiety Newsletter here. Chemical Imbalances in the brain are caused by/or are the effect of neural pathway systems (neuronal associations in the brain). 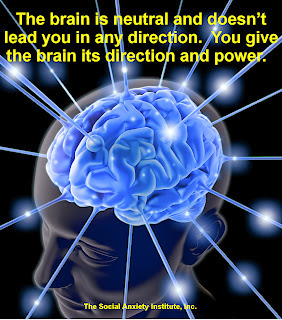 When the neural pathways change, so does the chemical imbalance. Cognitive-behavioral therapy is the only way we can our neural pathway systems. When we learn to think, act, and believe more rationally, our brain is changing. 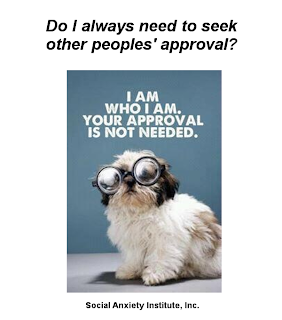 DO I always need other people's approval? Does everyone have to like me? Is it rational to believe that everyone must like me? Overthinking and overanalyzing are social anxiety's biggest curses. 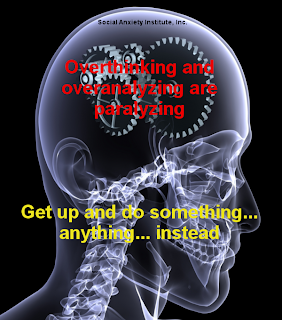 Stop the excessive thinking and DO something instead. Analysis equals paralysis. You will be stuck in your anxiety forever if you don't stop the excessive thinking and worry. 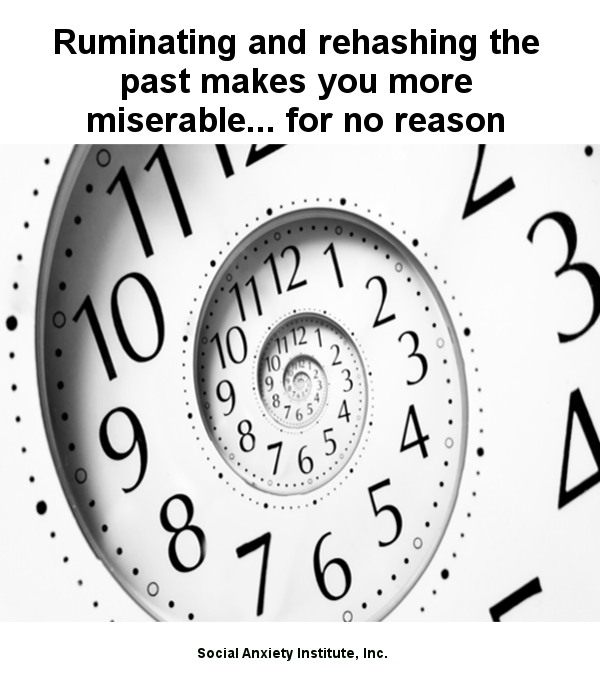 DO anything else constructive at all to stop your mind from spinning out of control. Slow yourself down and don't treat everything as an emergency. 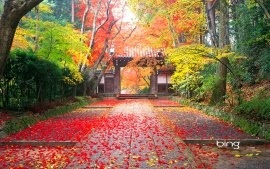 Maybe by slowing down you can approach the situation with more calmness. It would be nice if we could take a pill or get an injection and have all the cognitive strategies added to our brain at once. But that is not how the human brain works. The brain must learn new information -- and this takes time, because to really learn something well, a lot of repetition is involved. The more you do something, or the more you study something, the better you will become, and the more you will know about that thing. There is no short-cut to learning (how to overcome social anxiety). We all want to overcome social anxiety disorder, but there is definitely a right way and a wrong way to do it. The best and most effective way is to choose the EASIEST person (or situation) to begin with, and keep doing this until your anxiety about that event is gone. When you're in a new situation, follow the same procedure. 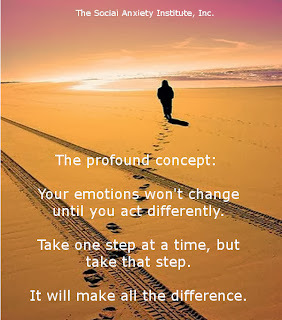 You will find that you never, ever NEED to take more than "one step" in your movement against social anxiety. Soon, the level eight or nine anxiety situation will become a level one anxiety situation, so long as you continue on with the therapy. 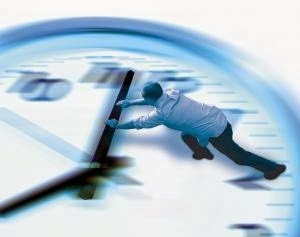 Procrastination makes social anxiety worse. 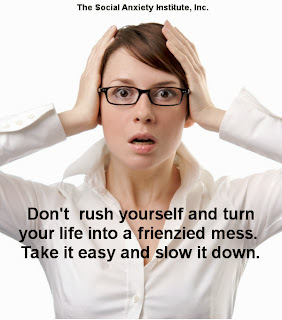 Do what you need to do now and take the pressure and stress off yourself. 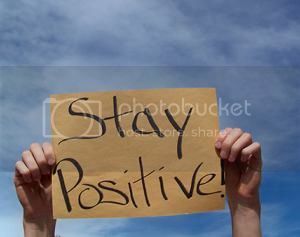 Your days will be more productive this way, and you won't have to dwell on nasty, negative thoughts. Be nice to yourself. Get up, get active, do what you can by taking one step at a time.